I’m an independent scholar, poet, portrait artist, freelance illustrator and graphic designer [tornpaperstudio.com]. After reading Charleton Ogburn’s biography of Oxford, The Mysterious William Shakespeare, in 1986, curiosity about the author and the reason or reasons for his silence were stimulated by materials from libraries at Boston University, Harvard, Concordia University in Portland, Oregon, Portland State University, Queens College, Cambridge, Cambridge University, the Bodleian at Oxford, and the British Library. In addition to these admirable institutions and their dedicated librarians and archivists, most helpful in recent years has been google.com, wikipedia, and other information sites on the internet, the best news for the world of independent research since the invention of the printing press. As an independent scholar I’m encouraged to note that of the greatest of the Shakespeare scholars: Alexander Pope (poet, biographer), Edmund Malone and George Steevens (independent scholars), James Halliwell-Phillipps (antiquarian), and E.K. Chambers (government bureaucrat), only T.W. Baldwin was an English professor (at the University of Illinois). Of these pioneers––the George Washingtons and Daniel Boones of Shakespeare studies––all but one were independent scholars. Most of what you’ll find here originated as editorials or articles written for The Oxfordian, a scholarly journal I designed and edited from 1998-2008 and published by the Shakespeare Oxford Society, or as articles published in the Elizabethan Review, the Shakespeare Oxford Society Newsletter, the Shakespeare Fellowship Newsletter, and the De Vere Society Newsletter, or as lectures for various conferences and other venues over the past 15 years in the US, Canada, and the UK. My research has led to a number of “firsts” in authorship studies, for which thanks must go to supporters like Dr. Daniel Wright of Concordia University in Portland, Oregon; Charles Beauclerk of Hadleigh, Suffolk; Mark Rylance of the London Globe; Susan and Bruce Campbell of London; and Malcolm Blackmoor, also of London, along with literally hundreds of others who’ve encouraged or assisted me in some way. Along with the hours of slogging through 16th-century verbiage, several moments stand out. 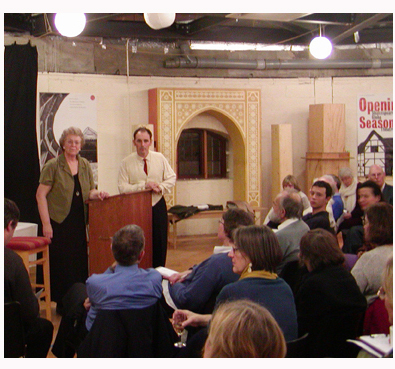 One high point was the opportunity to speak on the Authorship Question to an English audience at the New Globe on Bankside in London in November 2006 (see photo), by invitation of the Globe’s popular and successful first Artistic Director, Mark Rylance. I got my BA from Concordia University in Portland, Oregon during the years that Prof. Daniel Wright was launching the first academic conference on the Authorship Question (1997-2000). I brought to it several semesters of study in Literature, Latin, and Art History at Bennington College, Boston University, and Northeastern University plus a lifetime of reading classics of literature, history, religion, psychology and biography. As a Lutheran pre-seminary, Concordia offered what few universities do today, exceptionally high quality courses in Greek and Latin. Only a little of these stuck with me, but it was enough to give me a feel for their sound and fascinating organization and for the reasons why a 16th-century English poet might turn to them for the language that in my lifetime has become the lingua franca of the entire world. I’m proud to claim as an ancestor a passenger on the Mayflower, Stephen Hopkins, who, back in 1609, came close to getting himself hanged for fomenting a rebellion. He tried to organize the Bermuda survivors of the wreck of the Sea Venture into taking matters in their own hands, an escapade that some believe led Shakespeare to cast him as Stephano in The Tempest. It’s also the basis for the claim that Hopkins was more responsible than any of the other founders of the Plymouth Colony for the Mayflower Compact, the first step towards establishing self-government in what would become the United States of America. Hopkins also honors two other Hopkins in history (neither related to me––so far as I know): Gerard Manley Hopkins, who many see as the first modern English poet, and Frank Hopkins, who saved the western mustang herds, who, like me, had native American blood (a lot more than I have) and whose story is told in the movie Hidalgo. 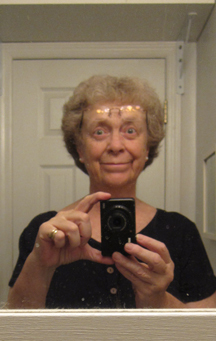 I also have my mother to thank for an insider’s knowledge of theater tradition. Till late in life Merle Osborne earned much of her living as a professional actor, onstage, in television, and in various other capacities for theaters in San Francisco, San José, Minneapolis, and St. Paul. Through her I acquired knowledge of backstage slang and superstition that rarely extends beyond the Green Room. From my father, Wallace Sumner Hughes, of Welsh and English descent, who earned his living as a speaker, speech-writer, and fund-raiser, I was infected with the punning virus, which leaves a person with a lifelong sensitivity to puns and wordplay, a disease that clearly affected Shakespeare and those members of his audience who loved him most. From both I got the combined love of literature and history that led me to this study and that continues to sustain me. With four daughters grown and on their own, I live alone (with a calico cat and scores of well-thumbed books) in a small apartment within view of the Hudson River, 20 minutes from Manhattan, and across the street from my local public library, where kind attention is paid to my appetite for arcane journal articles. Anyone with more than a passing interest in Oxford or the AQ who travels this way is encouraged to call. I’ll be more than happy to discuss the Authorship Question face to face. Great stuff, Stephanie. Now I know all about you. Keep on blogging! Terrific web site that should be very popular. Looking forward to articles, etc. you’ll be posting. How about a section on research that needs to be done? Thanks, Richard. Good idea about needed research. Personally, if I lived in London and had the wherewithall to spend my days in the archives, I’d begin by tracking down as many as possible of the 700 or so letters by Oxford’s tutor, Sir Thomas Smith, that his biographer, Mary Dewar, claims are still out there somewhere, many of them as yet uncatalogued. It’s hard to believe that that wouldn’t turn up something new. As time goes by and I’m able to lay out some of the research I have managed to do, inevitably we’ll come to that place where I simply can’t go any deeper, but must leave the search to those younger, more energetic, and more equipped to research in the UK. I’ll be sure to point these out. How about you? What do you think cries out for more research? Way to go Stephanie! Great stuff. Keep it coming. I love your blog and am slowly reading all of your articles. I would love to meet you someday. I can’t tell you how much I admire your intelligence and non-Phd-ness. I would love to emulate your efforts. You a re an inspiration. Perhaps someday … when I can retire from my day job! Thanks, Janetoo. There’s plenty left to do. It will take many heads and hearts to reach the total truth. I was employed with the National Trust at Runnymede and Ankerwycke between 2000 and 2004. We literally must have missed each other by days when you visited there in the June of my last year.. I undertook a large amount of information about Smith’s activities at Ankerwycke, and the construction of his Mansion there between 1550 and 1553. I would like to discuss this with you, and share with you the result of my research, some of the documents I investigated and transcribed, as well as the development of the Priory site and subsequent transformation by Smith. I have a description of his mansion (1799) just prior to its demolition in 1805 by John Blagrove. It was Blagrove who converted it into a folly – choosing to remove most traces of the Elizabethan Mansion, and retaining the 14th Century walls as a folly. I have some useful images, unpublished work and surveys o the site that you might like to talk about.